From blogs, technology on the internet had progressed to sites like Facebook. At the eve of the 2nd decade of the new millennium, I had written a post in our family journal how from snail mail I had used these new technologies to connect to my forever friends. In the past year I had created and maintained a Facebook group to gather all returned missionaries of our Church who had served in Malaysia, which would include foreigners, as well as Malaysian born missionaries who were sent to other countries. The objective was to keep alive the history of our Church in Malaysia and maintain a fellowship or connection between these members of the group who share a common love of the gospel and a love of the country of Malaysia and its people." The post was made in March 2012. I am now writing this post just a year later in March 2013. Several spiritual moments occurred since then namely; Han received his mission call to serve in the UK starting 29 June 2012 and towards the end of the year on Nov 6, Mom passed away in Singapore after her 7 year bout with cancer. The Dragon Year of 2012 ended in Feb 2013 thus ushering the new Lunar Year of the Snake on 10th Feb. The 15 days of Chinese new year ending 24th Feb was covered in the family blog post. Some noteworthy spiritual events can be mentioned from the blog post which includes my visit to the Los Angeles temple and also being assigned by the Mission President on the last day of the CNY to deliver to important mission calls for two young men in KL. All these are covered here. Before this, in the RM Missionary group page, I received notification of a Caryn Chin Huei asking to join the group. I messaged her asking if she was a returned missionary and she replied no. I therefore explained to her why it was inappropriate to add her into the group. She understood and accepted my rejection but further elaborated that she was looking for an Elder Meeker who baptized her when she was young in KK. I soon learned the sad news that her mother had just passed away about two weeks earlier and her father in the year 2006. 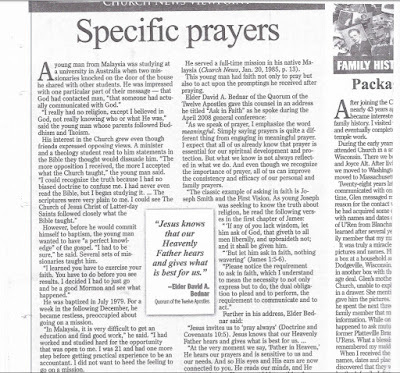 The family had left KK to return to Kedah in 2001 or after where there was no church in Kedah! She therefore grew up with very little knowledge of the Gospel and the Church but remembered well the missionaries that came to their home. 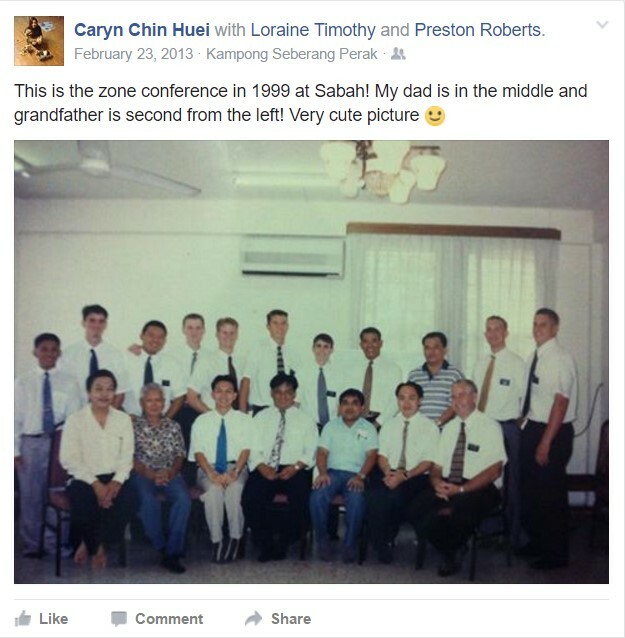 Now the list that I have compiled of Elders from overseas who had served in Malaysia was a good place to start and though we couldn't find details of Elder Meeker and he wasn't a member of FB either, we could start tracking by looking for other missionaries serving the same time of 1998-99 that she estimated to be her baptism date. She could view that list too as I pointed out to her that anyone can peruse the list and photos without being a member of the group so she was happy about that. He is my baptizer- Kenneth Meeker — with Cory A. Stuart and 2 others. You, Caryn Chin Huei and 3 others like this. Loraine Timothy wow you found him. Have you been able to contact him? 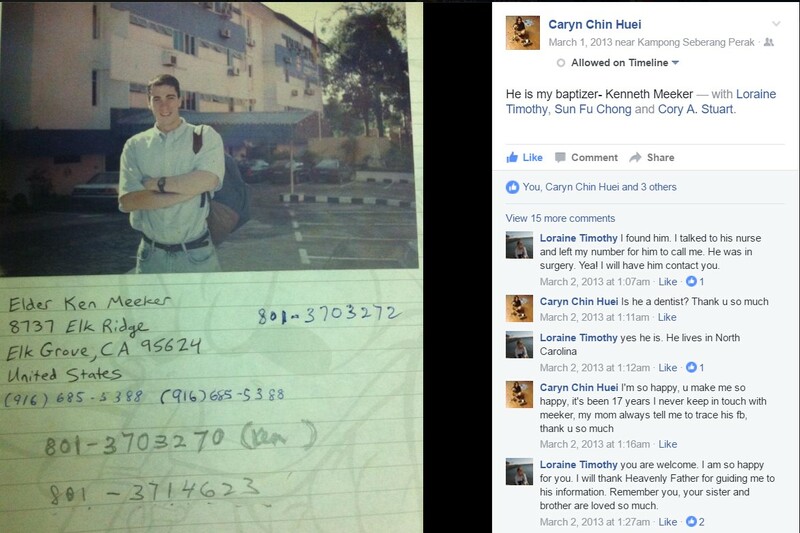 Caryn Chin Huei I haven't contact him, I dunno whether this phone numbers are still valid, no one have his current contact and he was never being contacted after he finished his mission, he is really a very great missionary, I will try my best to get his contact or facebook. Sun Fu Chong Looks like each day, you're getting closer and closer to find them! Loraine Timothy I found that the 916-685-5388 belongs to his father who is a dentist. Do you want me to call him? Loraine Timothy His office is closed for lunch. I'll call back in 30 minutes. Loraine Timothy I think I found Ken's number in N.Carolina. I'll call it also. Loraine Timothy I also think I found his wife. I'll get back to you in 40 minutes. Loraine Timothy I found him. I talked to his nurse and left my number for him to call me. He was in surgery. Yea! I will have him contact you. Loraine Timothy you are welcome. I am so happy for you. I will thank Heavenly Father for guiding me to his information. Remember you, your sister and brother are loved so much. While this was going on, I had arranged for missionaries from the PJ branch and a family to follow up with her when she moves to PJ again with her sister. As one can read in the FB posts, the mother just died a week ago from the post of Sis Lorraine Timothy so the twin sisters have become orphans without parents! Through facebook chats, I could assure her that she still had the families in the Church for support and that they never have to feel alone! This experience has taught me the value of the Church Social network and of course the value of Facebook to keep members connected to each other! 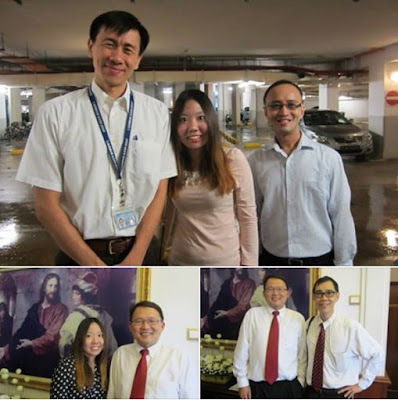 Was great to finally meet RM Jeffrey Seah in Singapore on vacation, who has helped connect many other RMs to this group which has become a resource for in-actives and semi-active members to find missionaries who taught them and establishes a fellowship that continues to keep the fire burning in them. Even non-members are finding this site to be a resource to find out more about the Church though this was not originally planned so RMs, thank you for your positive contribution to making this site useful. Interesting that I just read a comment that in the Leadership Conference of 170 new mission presidents held recently, there was an announcement that many missionaries will start using iPads and iPhones and technology to help with missionary work. Can anyone confirm this? Poh Yip Loke and Ronnie Foo like this. Steven Kok yes its true. Just talk to 2 Elders for dinner in our home. They confirm this. Also no backpack as well, might have to consider this for missionaries in Arizona as during summer time, it could get really hot. They need bags to carry water bottles. 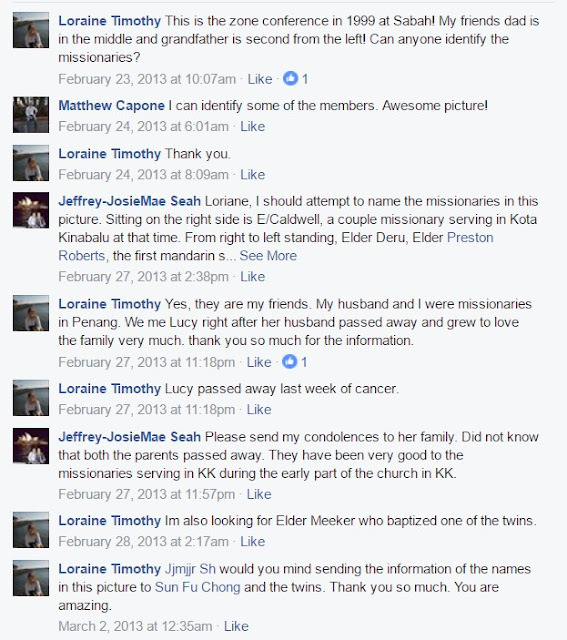 Jjmjjr Sh The church is moving towards social media in connecting with investigators, including Facebook and Twitter. It is going to start with the US and moving around the world. They will be using a lot more chapel tours which is a hugh success in California. Listen to the 2 hrs broadcast for the new mission president training which was held recently. 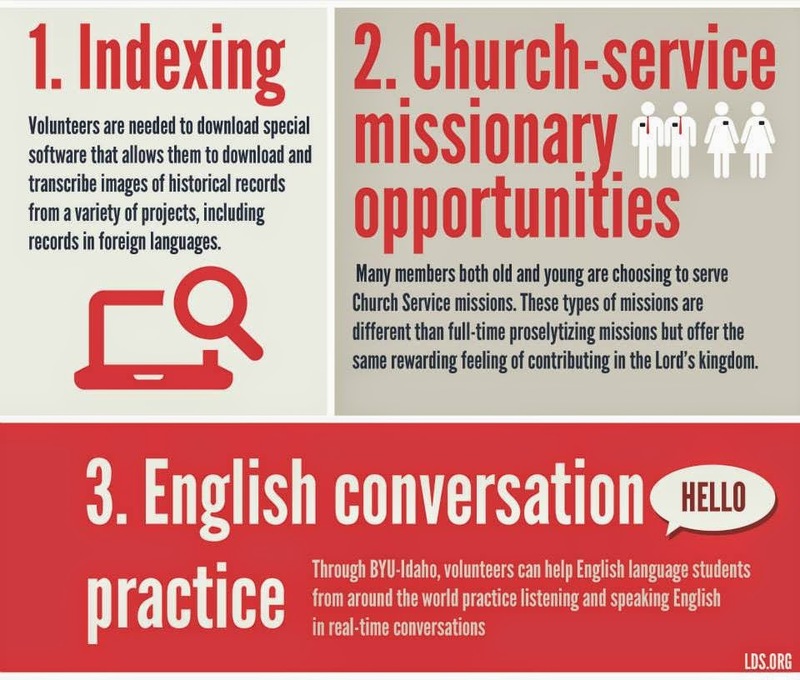 Missionary work is moving to another level. Thanks for all you do for this site and to connect with members in Malaysia. 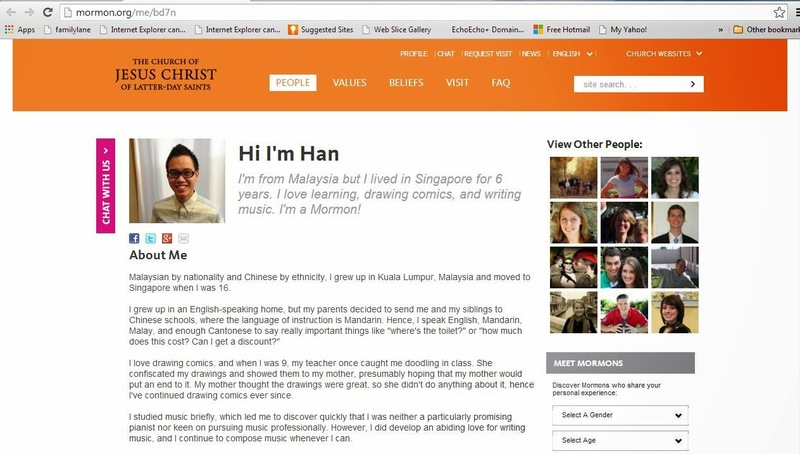 Sun Fu Chong Great News then my job of connecting RMs to members in the mission field as well as collecting on-going Church history in Malaysia will be so much easier when current serving missionaries have internet access! 9 Dec 2017 : "Heard from the Elders in Kuala Lumpur that next week they will be getting their smartphones to have internet access. Up to this date, they were only having regular cell phones with no data." On Monday 7 Oct 2013, I received an email from our oldest son on his mission in the UK with these opening words, "What an exciting week we've had. Elder Hare and I gained President Preston's permission to record a song I wrote called 你为什么不接受洗礼？(Why Won't You Be Baptised?) and put it on Youtube. It's spreading all over the Mission right now!" In the mid-month of Nov 2013, I saw a request from an Elder Grant Callahan to join my RM group page on Facebook. I got to chat online on facebook with Elder Callahan to find out that he is currently serving in the Nashville, TN mission that is one of the 7 missions the Church had started off the pilot program to allow missionaries to use Facebook! 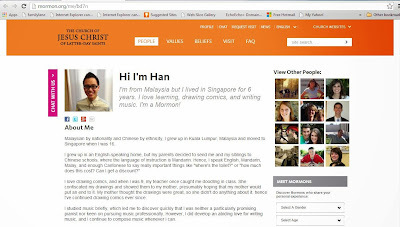 This is his facebook missionary badge and I love reading his blogs especially this one entitled,"What's different about a Mormon?" The LDS Church is certainly moving forward to make its presence in the cyber world with the purpose stated in the theme that Elder Callahan has named his blog as, ie. "Gathering the Lambs." 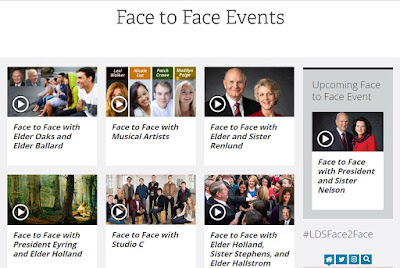 It should not come as a surprise to any of the members of the Church as after all, on 6 July 2013, the above post was made at the Mormon Facebook site to declare, "Members of the First Presidency and Quorum of the Twelve Apostles, the leadership of the Church of Jesus Christ of Latter-day Saints, have gone social!" 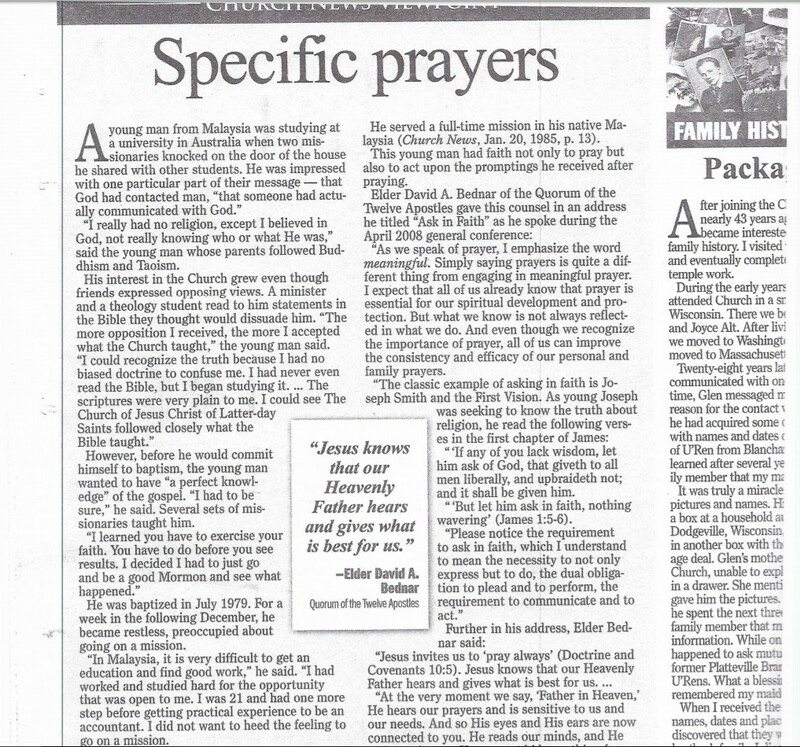 A friend from US sent me a screenshot of an article in Church News on this date with his comment, "Attached an article written in Church News and I think it is written about you without mentioning any name. Hope you will enjoy this article." I checked the Church News online to find the article. Click here to view. 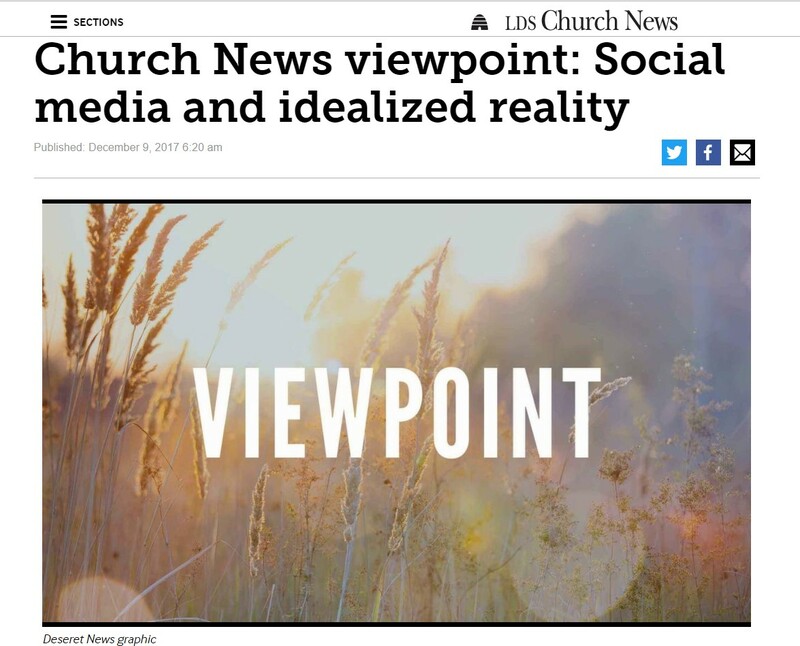 It is a VIEWPOINT article of the Church News and Elder Bednar's counsel was shared in the article too. Wow, why do I get such personal revelations online today to remember something that happened such a long time ago unless what I've always believed is true, that God continues to speak to Man today! The KL branch had their Christmas party early this month. 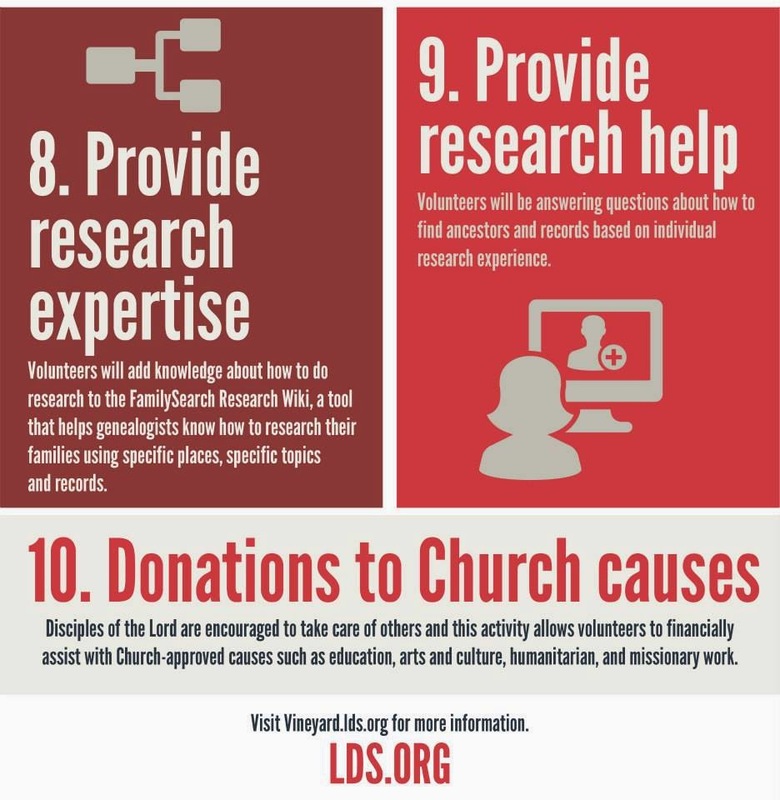 As a volunteer chronicler for the Church assigned by the Mission and the District without an official call, I am to help the Public Affairs missionary couple to do media coverage of significant or less significant events that contribute to their report required by the Singapore Mission and from the District. This is for the Kuala Lumpur West Malaysia District, which according to President Simmons who is the current Mission President at this time of writing, had talked about in a previous District Conference of it becoming the 1st Stake in Malaysia. After the Christmas party, my work was to produce some media that could be considered creative to post on facebook with video and photos. These Facebook posts could be embedded later in a specific blog journal following a desired theme such as this one I've started on earlier covering a brief history of KL branch. Now being tired after a long day, my Physical Mental Spiritual energy or that of my BMS BodyMindSpirit somehow was in a good OPT Optimal Performance Thinking mode, acronyms that I will use in describing how I am capable to publish my first book in 2018 that would be of great interest to those who like to learn how to adapt well to our World of Rapid and constant Change today. As a case in point of the branch party, there was no Santa Claus for me to capture creative photos to be shared. Nor were there many creative party hats either except one which I did take a photo of. Instead during the dinner time, a video of the 2017 Christmas devotional of the First Presidency of the Church in Salt Lake City was shared on the wall. The speakers were not loud enough for me to make a good recording of the music or talks either. It was also an hour long which could not hold the attention of the crowd who were noisy with festive and joyous mood. To make matters worse, I was late by 15mins to miss out the children's play of the Christmas nativity scene story where I could at least get some good footage of videos or photos to produce a creative presentation in the theme of Christmas! However achieving the final video is not the only thing I accomplished. 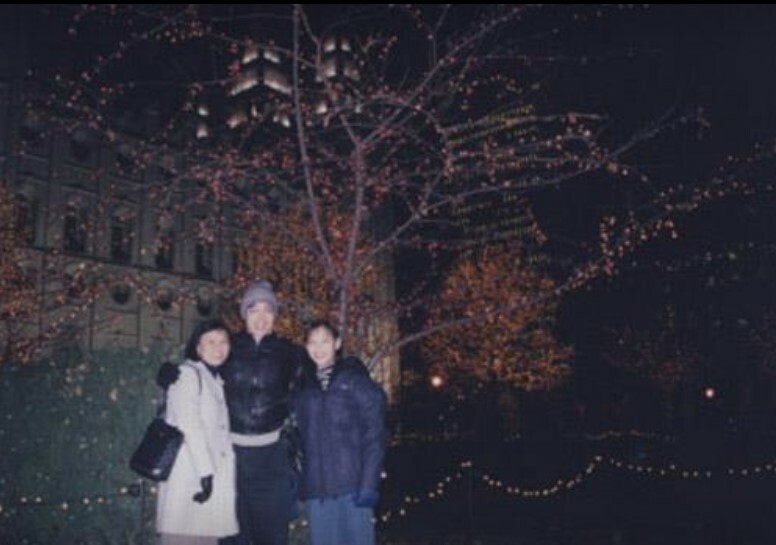 It brought back the nostalgia of Christmas in Salt Lake City with family remembered here. This is really the latest VIEWPOINT article released on 9th December date and you should read what it says by clicking here. I like to highlight a few things about the article. 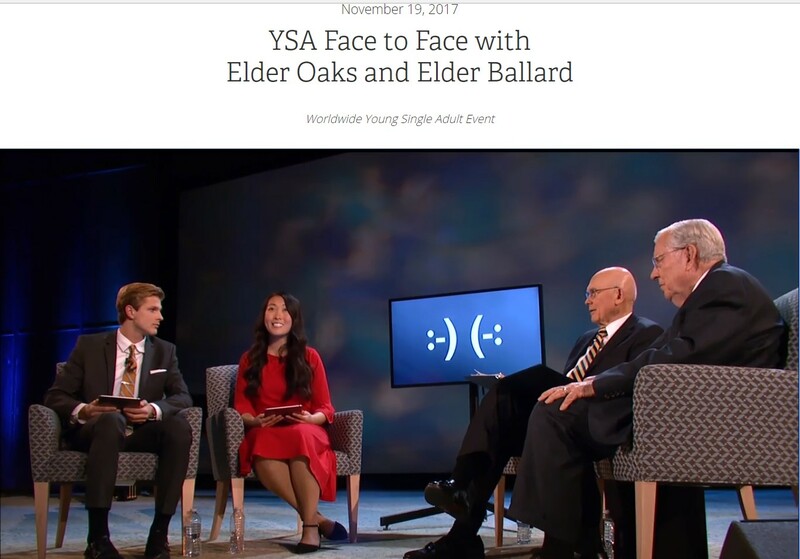 First, it mentions about Elder Bednar's view on Social Media, "In May 2009, Elder David A. Bednar of the Quorum of the Twelve Apostles raised an apostolic voice of warning regarding “the potentially stifling, suffocating, suppressing, and constraining impact of some kinds of cyberspace interactions and experiences upon our souls. He asked young people to be obedient and invite the constant companionship of the Holy Ghost. 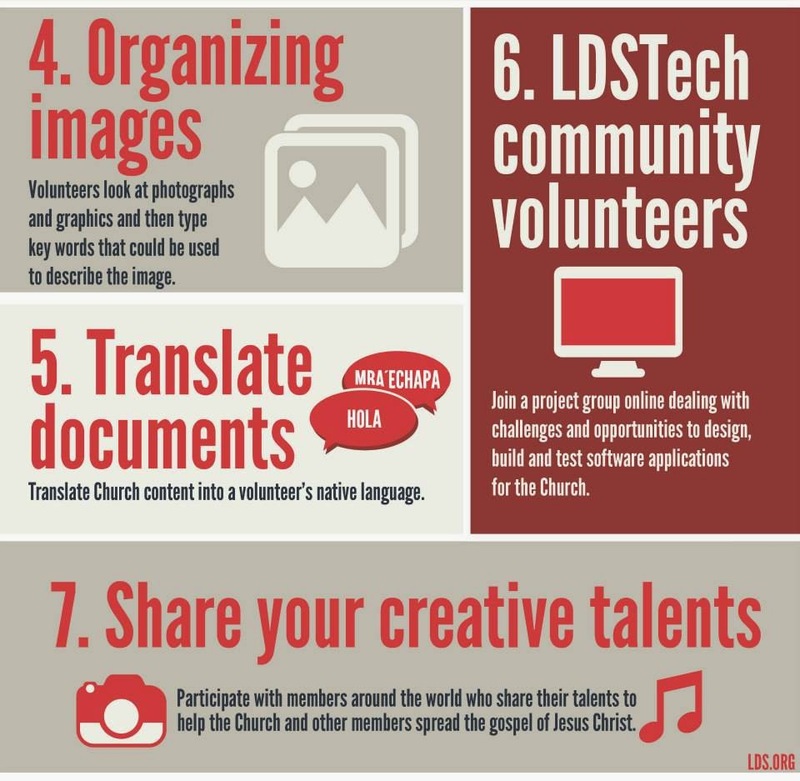 Six years later, Elder Bednar said using social media to “share goodness” is the key." The above post I have of Elder Bednar's was Church news published on the Jan 2015 issue of the Church Ensign magazine which can be read by clicking it. Next, it has this downside which I know is real, "During her October 2017 general conference address, Sister Bonnie L. Oscarson, Young Women general president, said we live in a culture where more and more “we are focused on the small, little screen in our hands than we are on the people around us. “We have substituted texting and tweeting for actually looking someone in the eye and smiling or, even rarer, having a face-to-face conversation...,” she said. 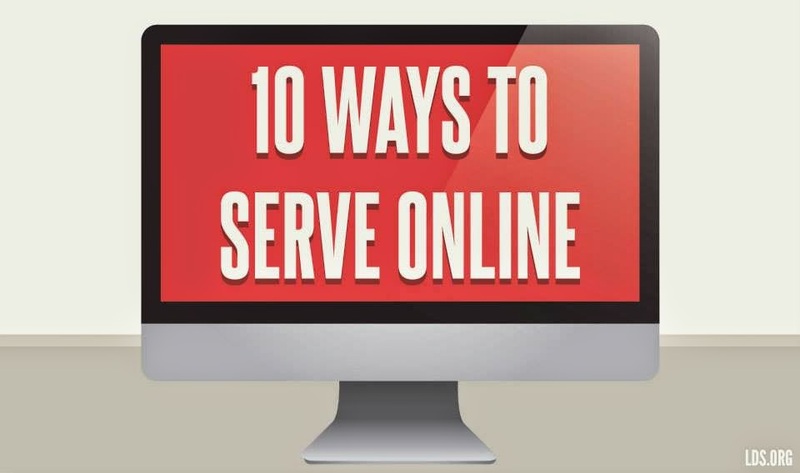 “As amazing as modern technology can be for spreading the message of the gospel of Jesus Christ and helping us stay connected to family and friends, if we are not vigilant in how we use our personal devices, we too can begin to turn inward and forget that the essence of living the gospel is service.” One can read and watch her conference talk by clicking here. A more serious effect is one that is psychological as expressed in the article as follows: "But research shows social media also impact the way we feel about ourselves. In this age when many are using social media as a means to feel connected, a new BYU–Idaho study has found that the more time people spend on social media, the more likely they are to be lonely. The study found that as daily social media time increased for participants, so did “perceived loneliness and depressive symptoms,” including feeling alone or blue, lacking motivation or having a hard time sleeping, said Robert R. Wright, director of the Health Psychology emphasis in the BYU–Idaho Psychology Department." Referring to the negaive effects of the new BYU-Idaho study above on those who spend too much time on social media, I fully agree with the results of the study from my own observation of many whom I know who are glued to their phone or computer especially in playing games with other online friends or have a greater preference to communicate via text or other electronic means than meeting or communicating face to face in person. After a while, their text communication may also be curtailed as if they have lost the skills to communicate in whichever means possible as if the preference is to become silent or aloof from the world. As I embarked towards the Social Media world in my transformation of much of my work or business to be in line with the latest technology, I have always been alert to not end up a recluse or inward-looking person who does not engage with others. One can see from my blog journals today that contain facebook posts embedded in them. They reflect that I am socially active especially when photography and videography are highly accessible to me in portable devices. They help me capture the moments of my active life whether traveling to meet others or even when I am confined indoors. In small spaces, I can still become active or creative in my physical or mental activities including uplifting my spirit when writing in a blog post such as this one. I was especially excited when I watched the last Face to Face event on 19 Nov 2017 that interfaced with many sites around the world who could interact with Elder Oaks and Elder Ballard. I saw my youngest son's hands up on the video with the rest waving live to the stage in Salt Lake City at that time. I've captured a screenshot of that moment in the photo above. 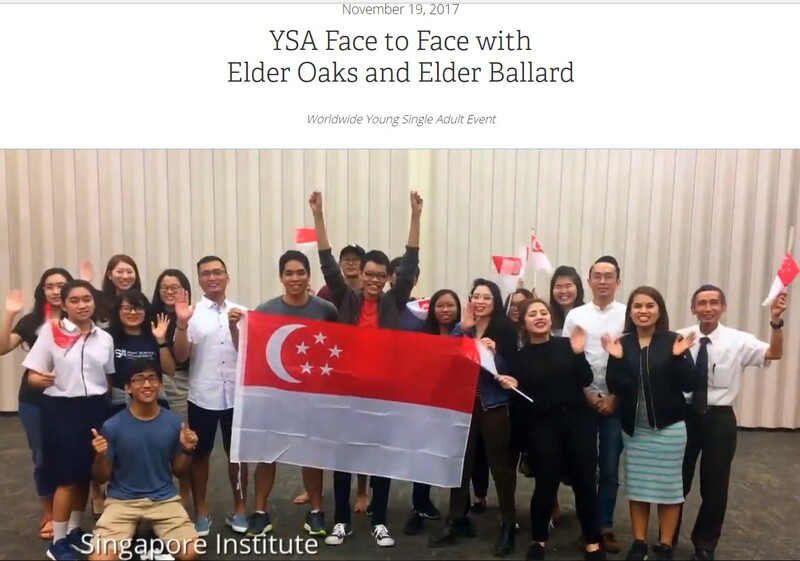 The YSA group were in the Stake Center in Singapore! One can watch a recording of the event by clicking here. I started my own Face to Face as an aspiring author and socialpreneur in 2016 with TalkLane. I guess times and technologies are changing fast and we all have to change our lives somehow while trying to maintain 'Constancy Amidst Chaos', something that Murphy's law says will happen!